Now if you search for a business and a map/places result is featured in the top right knowledge graph area, Google may show street, panoramic and/or inside photos of the business right in that box on the right. 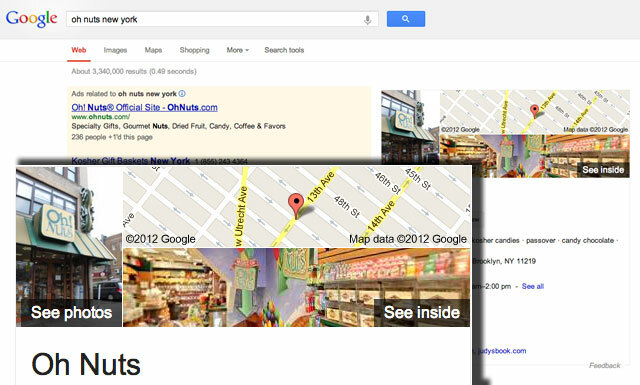 This is Google's attempt to making the search results richer and more useful for end users. I also assume businesses with this added richer search result set wouldn't mind the extra exposure?